Jeremy Osborn won the J.D. 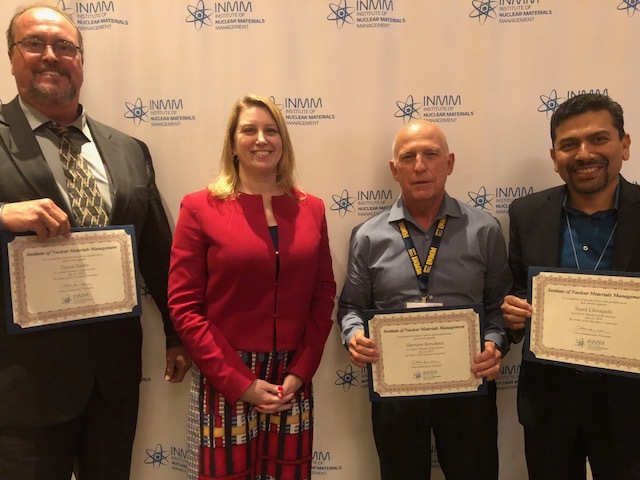 Williams Student Paper Award at the 59th Annual Meeting of the Institute of Nuclear Materials Management (INMM) took place from July 22-26 in Baltimore, Maryland. 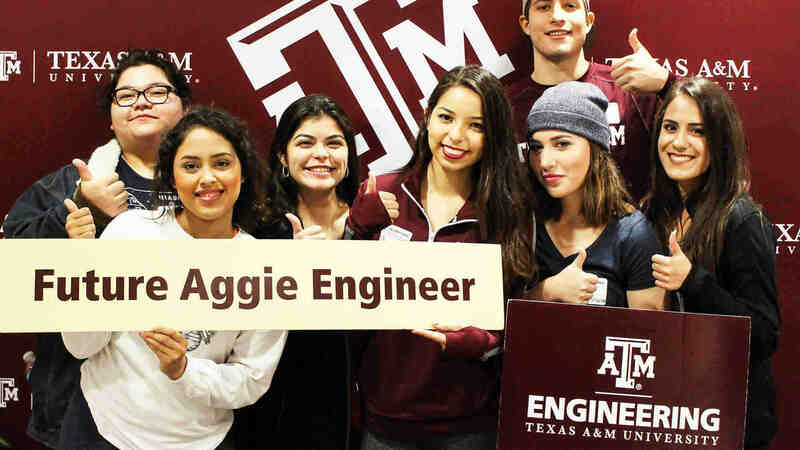 Osborn is a Ph.D. student in the department of nuclear engineering working with the Center for Nuclear Security Science and Policy Initiatives (NSSPI) Director Dr. Sunil Chirayath. 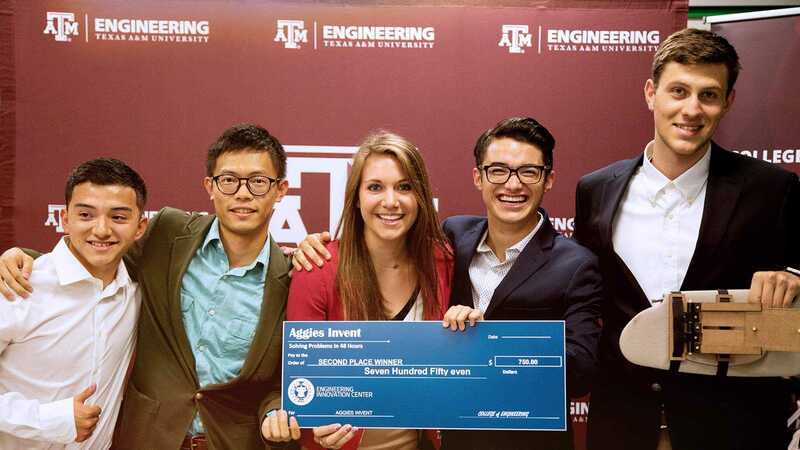 The award for the best student paper at the meeting is based on the student’s written paper and oral presentation and includes a $1000 prize. 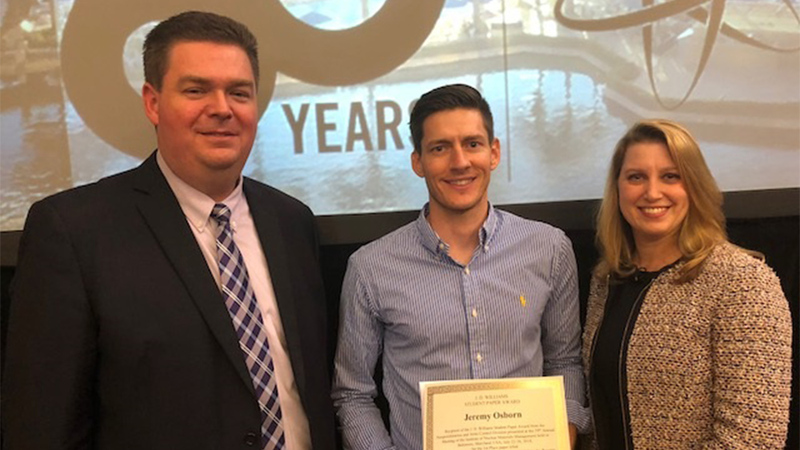 Osborn’s paper, titled “Experimental Validation of a Nuclear Forensics Methodology for Source Reactor-Type Discrimination of Chemically Separated Plutonium,” presents the results of his dissertation work to develop new methods to determine the reactor origins of weapons-grade plutonium. This research is part of a seven-year project funded by the U.S. Department of Homeland Security’s Domestic Nuclear Detection Office under an Academic Research Initiative (DNDO-ARI) grant, which is led by Chirayath in conjunction with Dr. Charles M. Folden, III of the Cyclotron Institute. “I believe the greatest strength of the project is the fusion of computational simulations, research reactor irradiations, radiochemistry laboratory work, and experimental measurements,” Osborn explained. Osborn successfully defended his dissertation this summer and will be graduating in December. He recently joined NSSPI as a postdoctoral research associate. Chirayath was also awarded an INMM Senior Membership Appointment at the meeting.